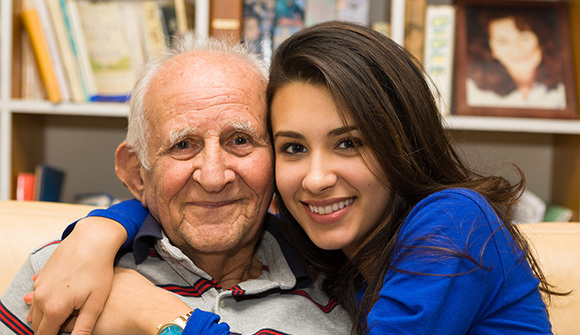 The HHS Aging Services Coordination office’s Texas Talks program encourages you to have conversations about aging and plan ahead with your older loved ones. Specific topics are highlighted in approachable and concrete terms, giving people the skills to begin positive, productive conversations around aging. Other topics include physical health, social engagement and caregiving. Every day in the United States about 10,000 adults turn 65 years old. In Texas, more than 3 million adults are over 65, and that number is growing fast. Aging is a normal part of life but something we often don’t talk about. Seventy percent of families have their first age-related conversation after a health emergency, such as a fall or a stroke. To help you and your loved ones age well, have these conversations before there’s an emergency. The easiest way to begin the conversation is to start with an approachable topic. Consider discussing where your loved one stores personal information, like medical and financial records, in case of an emergency. Ask if they are comfortable sharing this information with you, another family member or friend of their choice. This can be a sensitive subject, so don’t be offended if they tell you they’d rather share personal information with another family member. Trust and comfort: Do they feel comfortable sharing their personal information with someone in particular, perhaps a certain family member? When would they feel comfortable sharing this information? Also, do they want the same person making financial and health decisions for them, or do they want different people handling different components of their life in case of an emergency? Basic information: What is their date of birth, Social Security number and driver’s license number? Who is their emergency contact? Medical history: Who are their physicians and how can they be contacted? What medications are they taking? To learn more, visit the Texas Talks webpage. For questions, call 800-889-8595 or email TexasTalks@hhsc.state.tx.us.